I have included golf every day (sometimes twice a day) on this sample itinerary to showcase just how much golf you can play in Ireland, and every course included is world class! If you prefer some days left for touring there is no problem and if there are non-golfers in the group they will find plenty to occupy them both on and off site. Ireland Golf Vacations can be taken as a Self Drive Ireland Vacation or why not select a Chauffeur Driven Ireland Vacation. Relax and sit back while one of our wonderful driver/guides focuses on the steering enabling you to focus on the scenery and not the best route. Arrive at Dublin Airport after your flight. Your driver/guide will meet you at arrivals or alternatively you can pick up your car and head South to the K-Club. Take today to settle in or if you want to get started straight away we can book your first tee time for the afternoon. With 2 World Class courses to choose from you may as well make the most of your visit and play both. If you are an early riser book in for an early tee off on the Palmer Ryder Cup Course. After a freshen up take the short drive to Co. Wicklow to the Druids Glen which was voted amongst the top-5 parkland courses in Ireland in BACKSPIN magazine’s influential Irish Golf Course Rankings poll. Return to the K-Club to discuss the finer points of play in the Legends Bar. 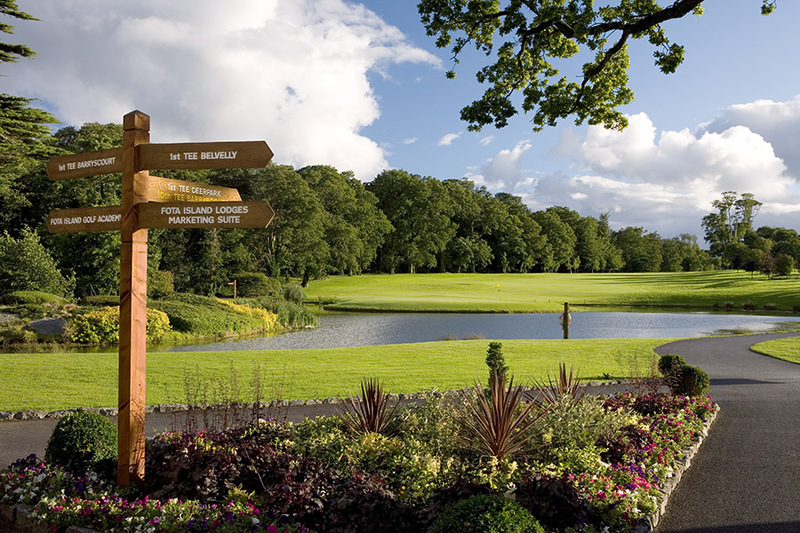 Leave the K-Club and travel to the Fota Island Golf Resort in Cork. With 3 unique courses you will be able to squeeze in as many rounds as you can manage in your stay here. If you can tear yourself away Blarney Castle is a short drive away as is the original Jameson Distillery in nearby Midleton. Cobh is also worth a look with the heritage center highlighting the history of emigration from Ireland. Today will surely be a highlight of the tour when you play the famous Old Head Golf Links in Kinsale. This is truly one of Ireland’s most stunning golfing locations. Old Head, par 72, has a minimum of six tees per hole with eight Par 4s, five Par 3s and five Par 5s and extends to over 7,200 yards. Every hole has expansive sea views with nine holes played beside the cliff tops. The unpredictable sea breezes ensures the course provides a stern test to both the high handicapper and the touring pro alike. 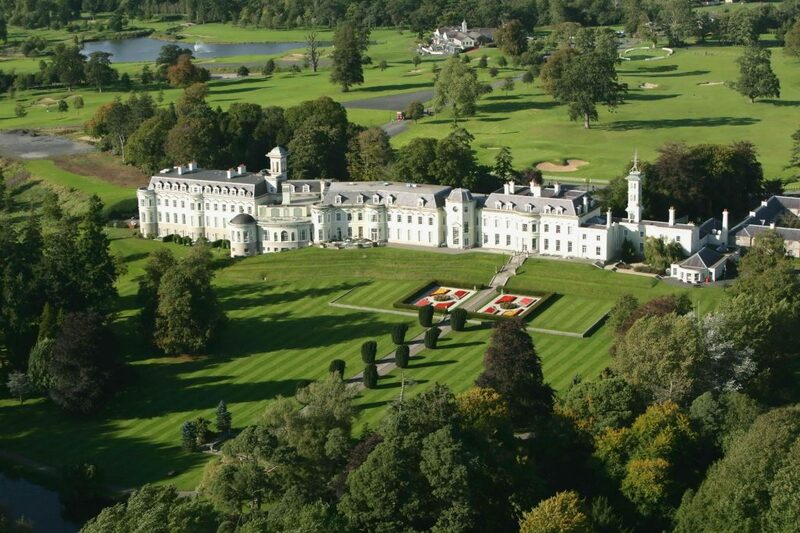 Return to the luxury estate at Fota to relive the days events. Take some time to do some touring today en route to Adare Manor. Arrive in time for some afternoon tea and either, take a break for the day or avail of a late afternoon tee off. 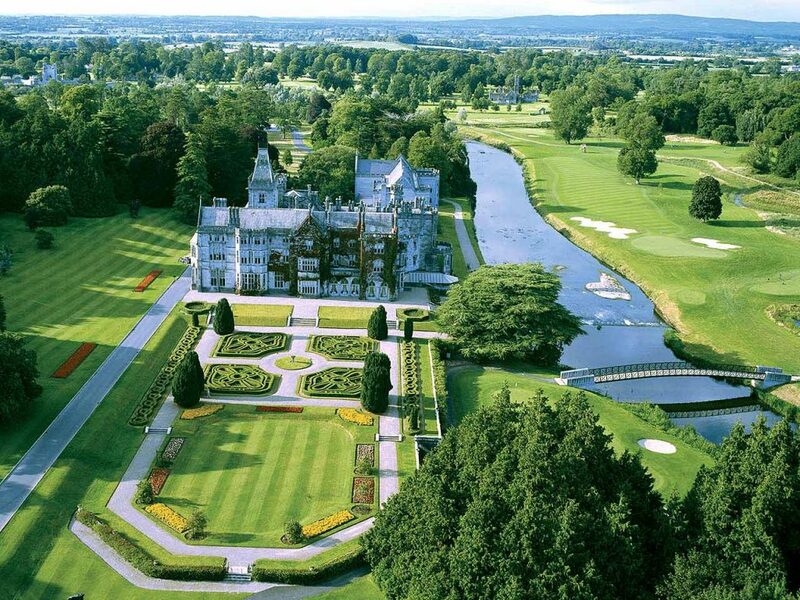 The Golf Course at Adare Manor is situated on the banks of the River Maigue. Designed by Tom Fazio to reward courage and emphasize shot placement this course rewards careful thought in soulful surroundings. 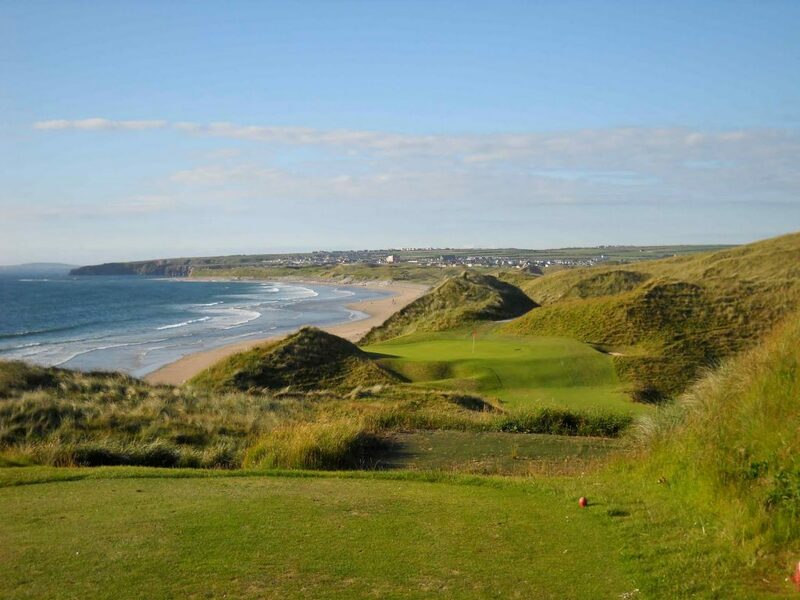 Head for the nearby Ballybunion to play the famous Old Course there. This fabulous Links Course was founded way back in 1893. 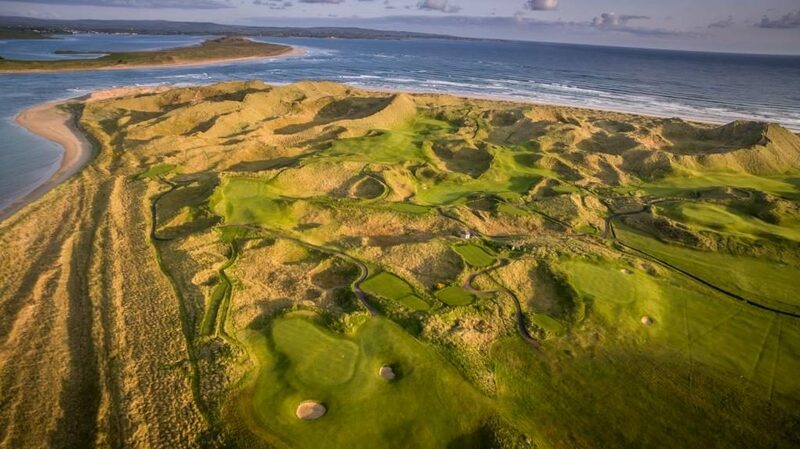 It has been enjoyed by golfers from far and wide ever since and Tom Watson said it best when he stated “Nobody can call himself a golfer until s/he has played at Ballybunion”. 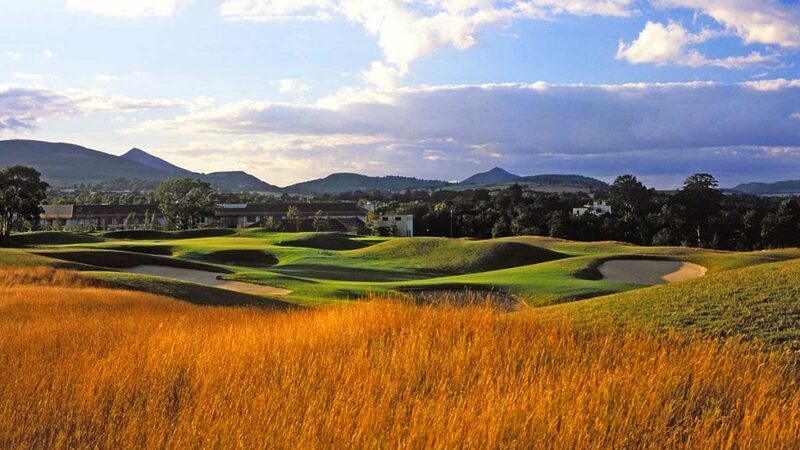 A round at the Cashen Course is complimentary when booked with your Old Course. Return to Adare Manor in the evening. Today allows some time for touring, you may like to visit Bunratty Castle and Folk Park before continuing on to Doonbeg Lodge and checking in to your luxury hotel. Tee off after lunch at the Lodge. The Par-72 course includes nine holes out and nine back in a single loop, playing 7026 yards from the back tees. The route within the dunes leads to a rare combination of five par 5s and five par 3s. Here the wind speed and direction creates daily modifications in play. Just a short drive will take you to Lahinch. Book an early tee time on the Old Course. 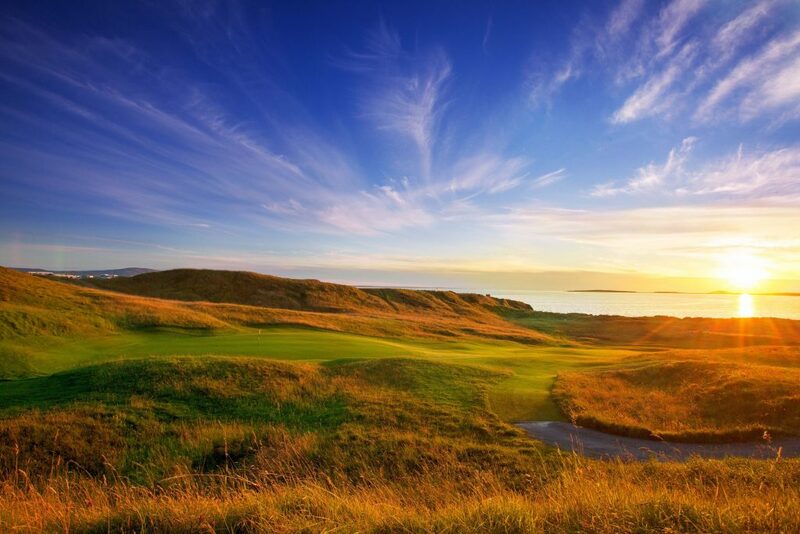 Lahinch has received world-wide acclaim and is now consistently ranked among the world’s greatest links courses. Golf Magazine ranked Lahinch #42 in the world in 2011. The Castle Course can be played after lunch to make for another full day of golfing pleasure. Continue on to Galway and enjoy a night out in this vibrant and social city. Get an early start and travel North to Sligo. After an early lunch hit the stunning Dunes championship links course. One of the most challenging traditional links course, Tom Coyne described it as a “must play”. 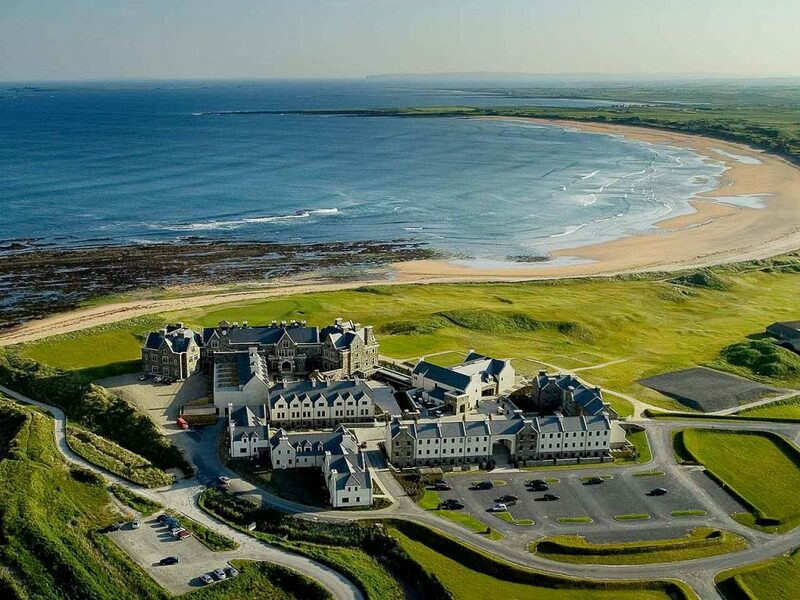 If you’re left hungry for more there are an additional 9 holes at Enniscrone so why not fit in the full 27 before retiring to your accommodations in Sligo town. 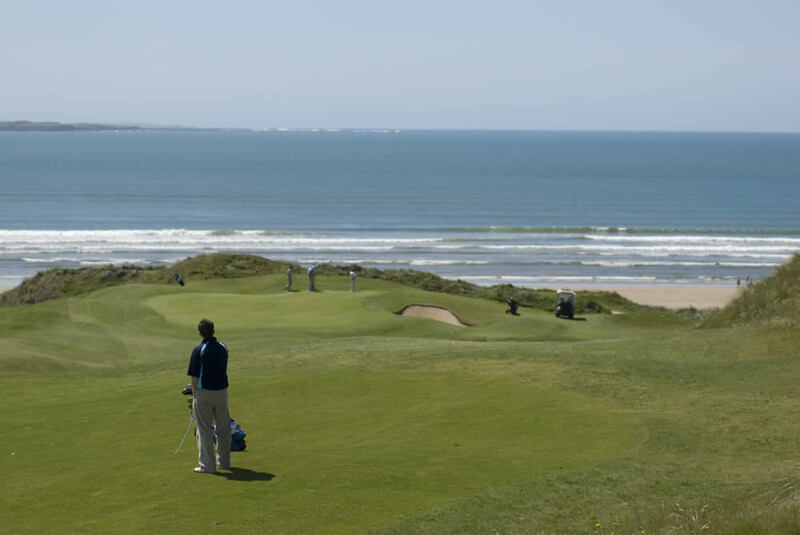 Enjoy an early morning tee off on the championship course at the County Sligo Golf Club at Rosses Point. This legendary course designed by Harry Colt has hosted many Irish Championships and is affectionately known to locals as “The Point”. After lunch continue your journey North – today you will cross over into Northern Ireland and overnight in the city of Derry/Londonderry. This morning’s course needs no introduction and these next couple of days are sure to be the highlights of your trip. 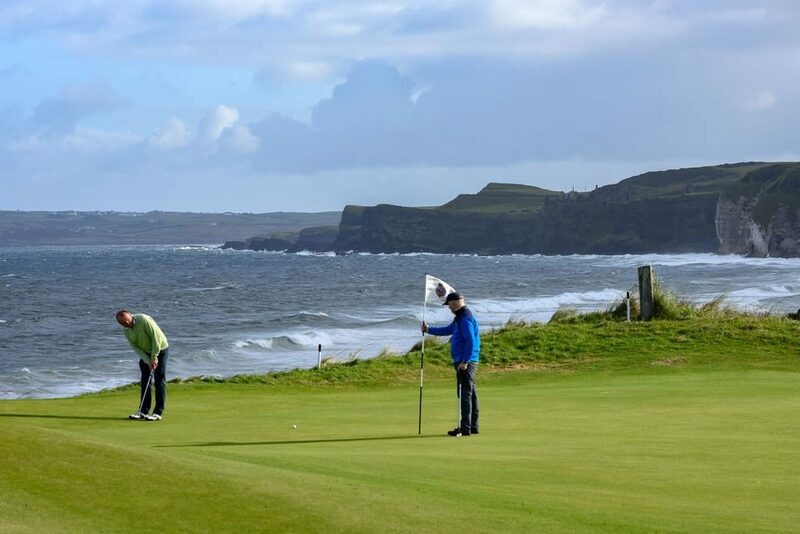 The Dunluce Championship Links must of course be tackled and many may like to stay an extra day in the area to enjoy the hidden gem that is the Valley Links. Otherwise pay a visit to the Giant’s Causeway or stop off at Bushmills for a drop of whiskey before making your way to Belfast city for tonight’s overnight stop. 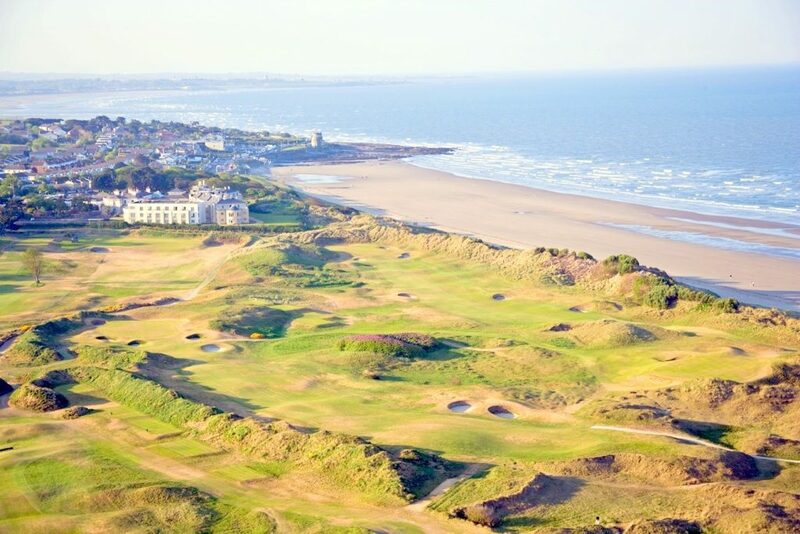 This morning travel to Co Down where the mountains of Mourne sweep down to the sea and enjoy a round at one of the oldest Golf Clubs in Ireland. 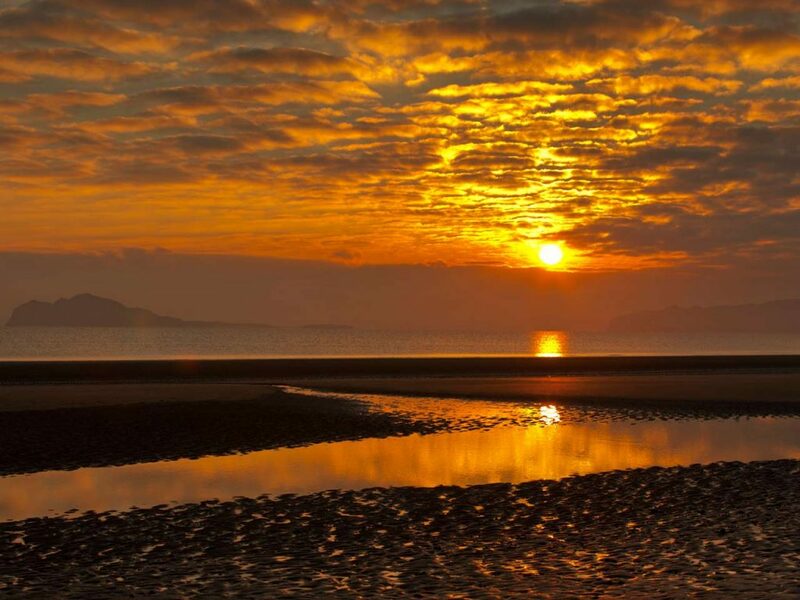 This stunning course is set in the Murlough Nature Reserve and overlooks the sweeping seascapes of Dundrum Bay. 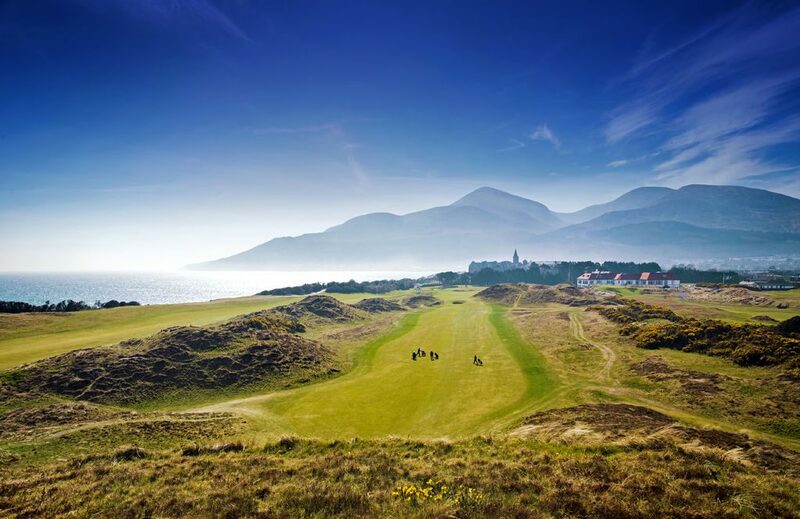 After the final hole you have but a short stroll to your luxury accommodations located next door – the Slieve Donard Hotel has been taking care of golfers since 1898. Bid a fond farewell to Northern Ireland and head back to Dublin. Check into your Hotel and play one last round on The Championship Portmarnock Links Golf Course designed by Bernhard Langer. Relax and rest up for your journey home. Portmarnock is just 15 minutes from Dublin Airport so take a short drive and return your car with plenty of time to spare to catch your flight home. Or for those of you on a Chauffeur Driven Tour your driver/guide will drop you off in good time for your flight home. 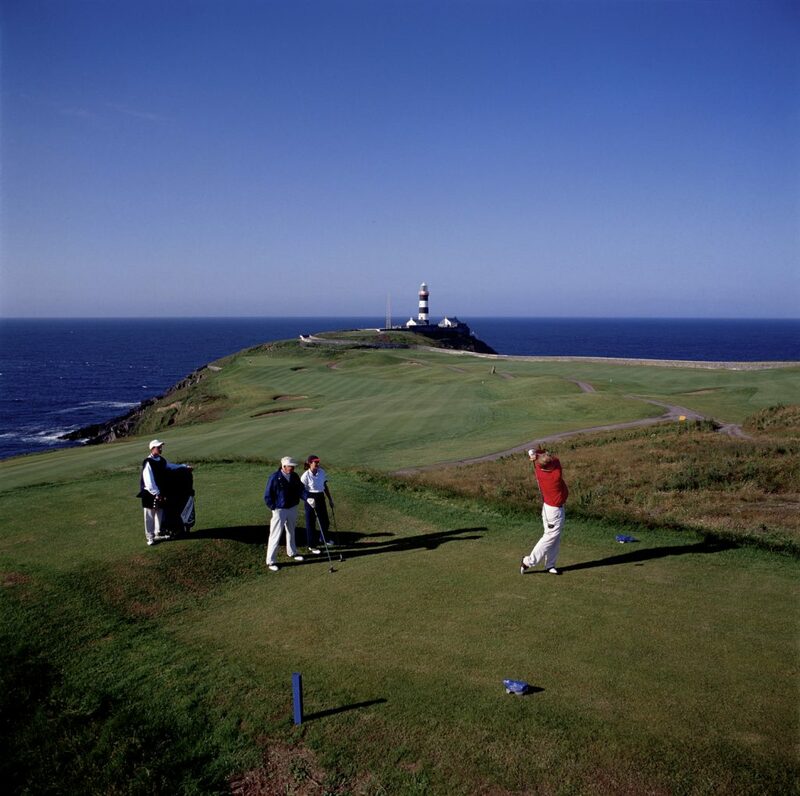 Ireland Golf tours include luxury car/coach hire with private driver/guide or self-drive car hire, green fees, all hotel accommodations and breakfast each morning. As all tours are individualized to suit your needs, additional elements can be added to any itinerary. Why not utilise our concierge service for any extras as well as 24 hour on tour support. Sheenco Travel are able to combine an exceptional VIP service with the warm welcome that Ireland is known for. They are always quick to adapt and handled all requests efficiently. I would have no hesitation in recommending Sheenco Travel for VIP travel services for the most esteemed of clients. Sheenco Travel deliver the most professional of services and I would have no hesitation in working with them again when the opportunity arises. Genevieve is really on top of her game and her attention to detail is second to none, A true Professional! I wanted to thank you again for putting together a beautiful experience for our group. Everyone loved the experience, food and the accommodations. People really enjoyed the folklore theatre the first night in Dublin. We really enjoyed the local tour guides that we had. How would you like to enjoy your golf tour in Ireland?